So, it’s a very special hotel that let’s me stay the night…. very special in the $75 extra a night range…. 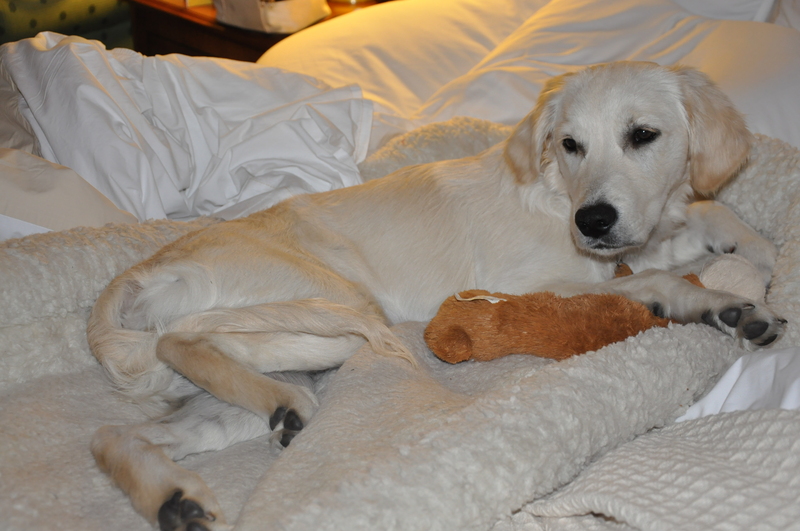 After my trip to the winery I got to spend the night in the Marriott Santa Ynez Valley. We brought my bed, some toys and of course food and water and my favorite chews. Despite being allowed to sleep in the room I was NOT allowed to sleep on the bed, I had to be on a leash, I could ONLY potty in a small PET area, and other rules which I decided not to fully read.